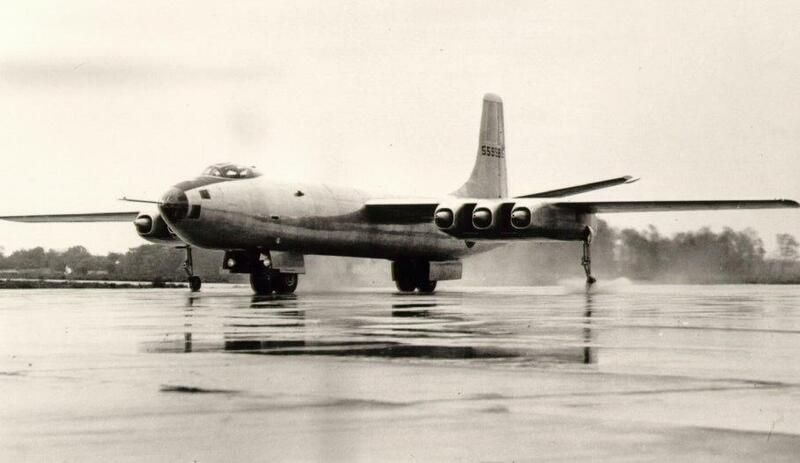 The Boeing B-47 Stratojet bomber was one of the most important airplanes ever built - and - one of the most beautiful. 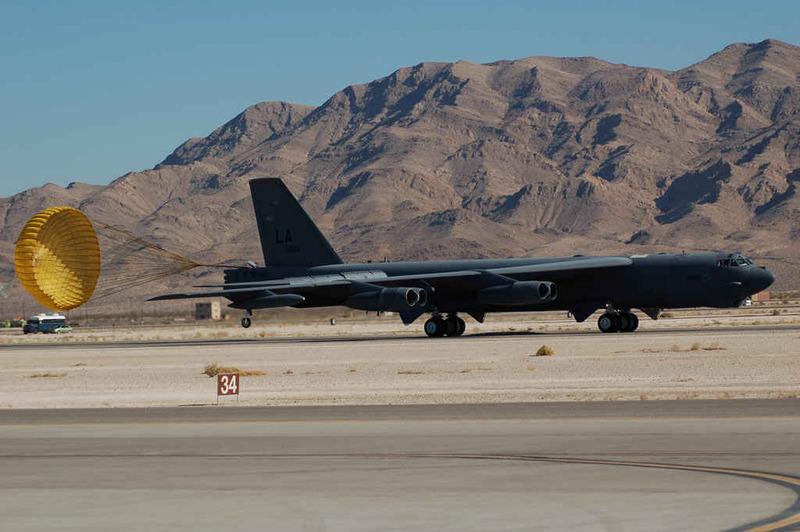 The B-47 is 60 ! Click here for more. 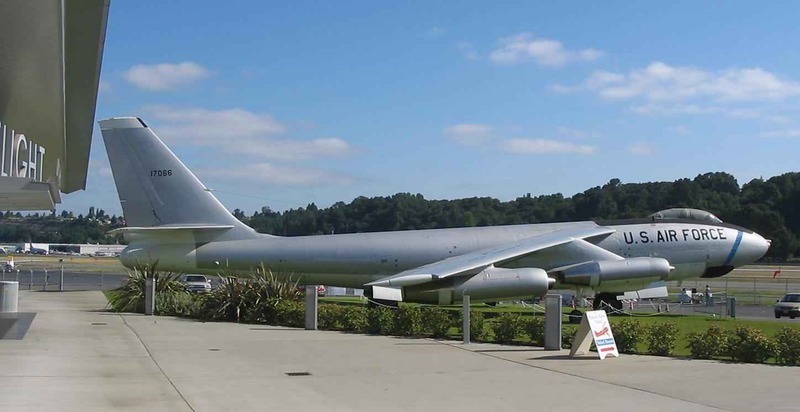 The B-47, developed in just 17 months from contract signing to first flight, was Boeing's attempt to wring the benefits out of the new technologies of jet propulsion and swept wings. To successfully incorporate these features meant solving a wide range of new aerodynamic and configuration issues that were encountered. To see how revolutionary Boeing's solutions were, one need only compare Boeing's airplane with competing designs from other major manufacturers. Martin XB-48 - a jet powered B-26? 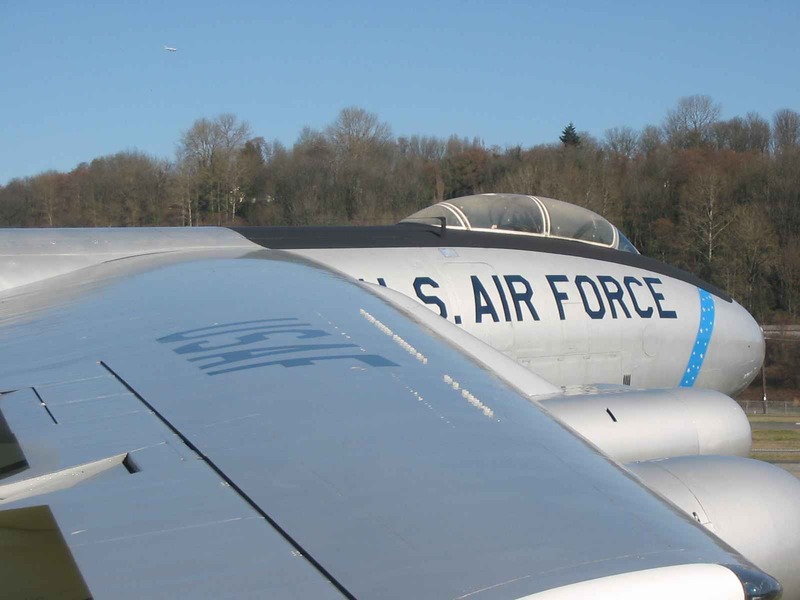 These airplanes, along with the later Martin XB-51, show just how difficult it was to find a place, for, among other things, the engines. They were installed in the same places that piston engines had been installed, or buried in the fuselage, or hung from it. A 35 degree wing sweep was selected as optimal for performance - about the sweep widely used in follow-on airplanes. 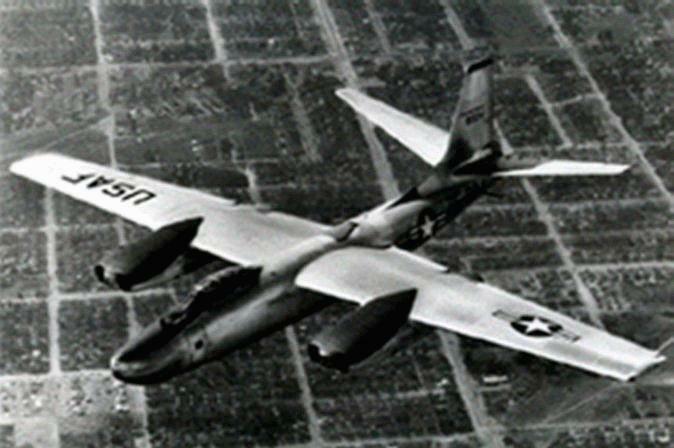 The B-47 hung the engines from both short and longer wing pylons - a configuration used universally ever since. A swinging motion called Dutch Roll was solved using an active rudder control system called a yaw damper. High speed nose pitch up resulting from outboard wing boundary layer separation was solved by vortex generators. Aileron reversal due to flexing of a flexible wing was solved by using wing spoilers for both roll control and as speed brakes. Long landing field lengths were addressed with tail mounted ribbon parachutes, and a powerful anti-skid braking system. 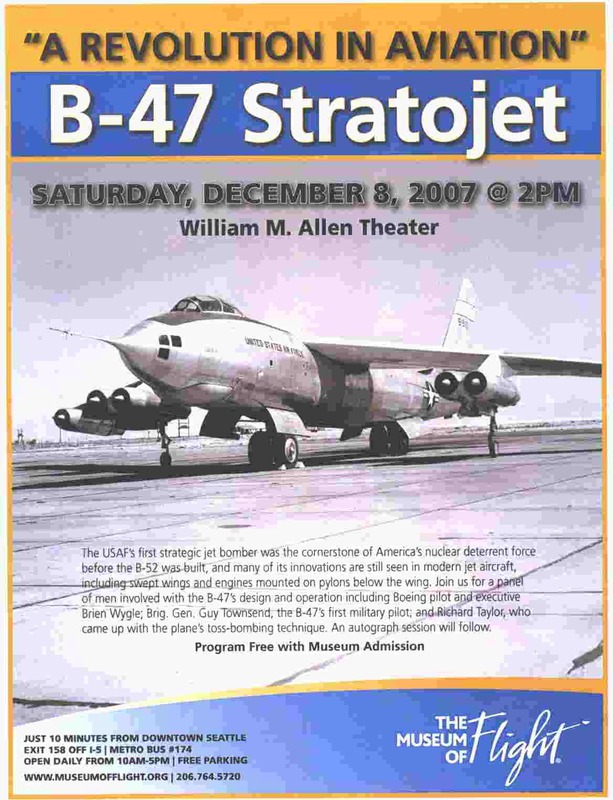 The B-47 also pioneered airborne refueling technology widely used in subsequent airplanes. 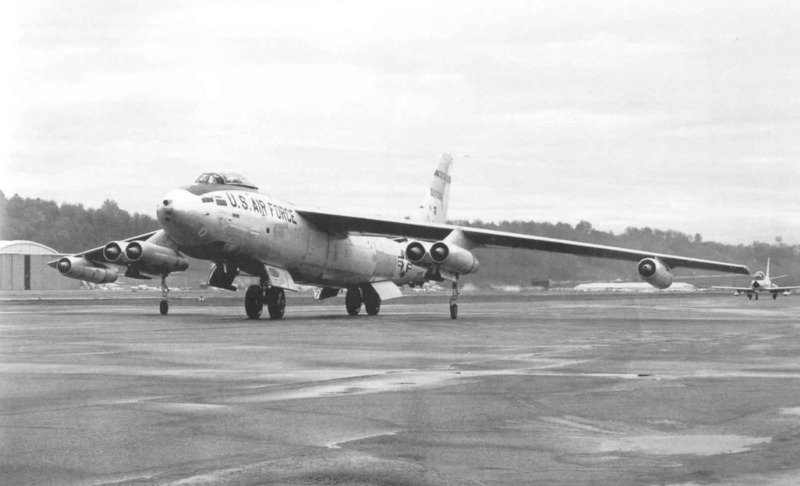 WB-47E 51-7066 arrived at Boeing Field in October 1969 marking the last flight of a weather Stratojet.